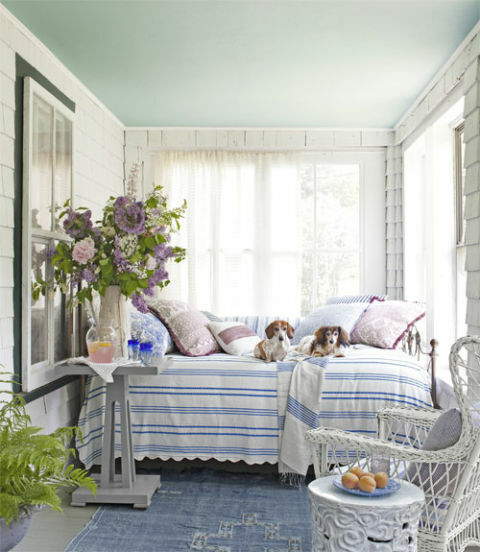 I’ve been meaning to write about summer since it started. Then I blinked and it was gone. So much for that idea. That, in itself, is the true spirit of summer, anyway, isn’t it? One day it’s here, and the next it’s gone. You think of all the things you intended to do at the beginning of the summer, when the long, hot days stretched ahead before you like a string of jewels winking in the sun, and then the end of August comes and you find yourself wondering exactly what you did with them. 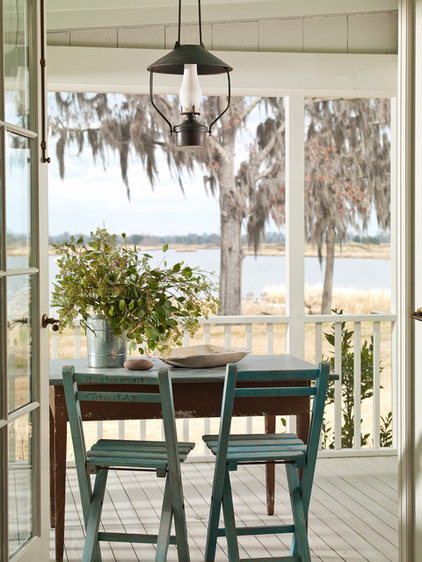 To me, warm weather decor = classic front porch. 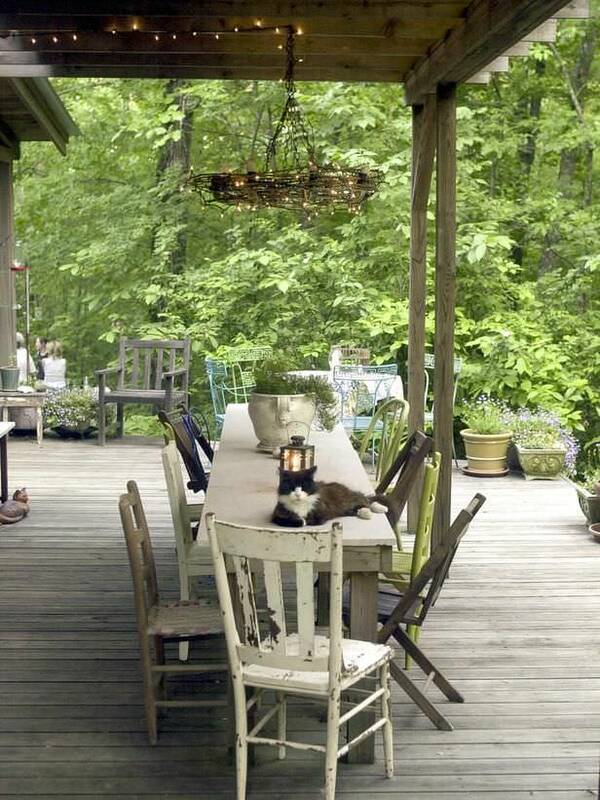 Swings and rocking chairs, lemonade, flowers, and dining al fresco. All that good stuff. 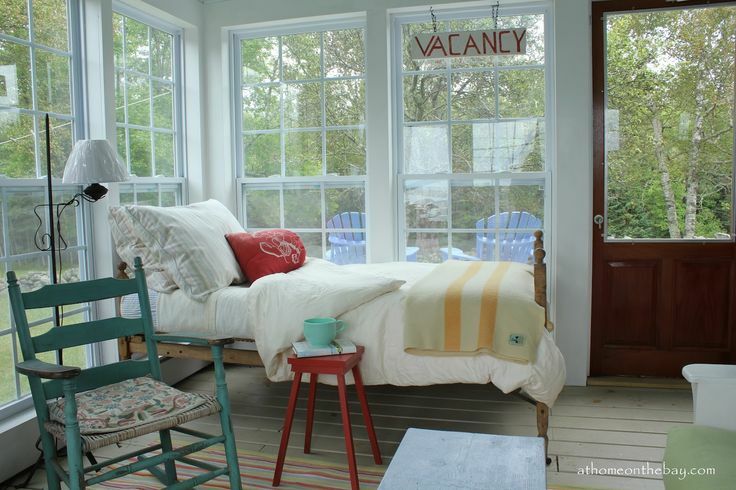 A place where you can nap, read, enjoy a drink, and exchange a passing “hello,” to all the neighbours and dog walkers strolling by. 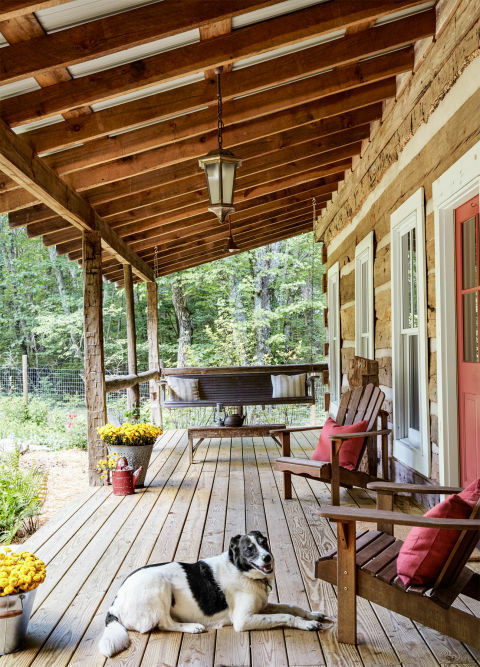 The porch is a truly unique space that blends the best of both privacy and society… while there, we are comfortably in our own home and yet interacting with the world and the weather at the same time. 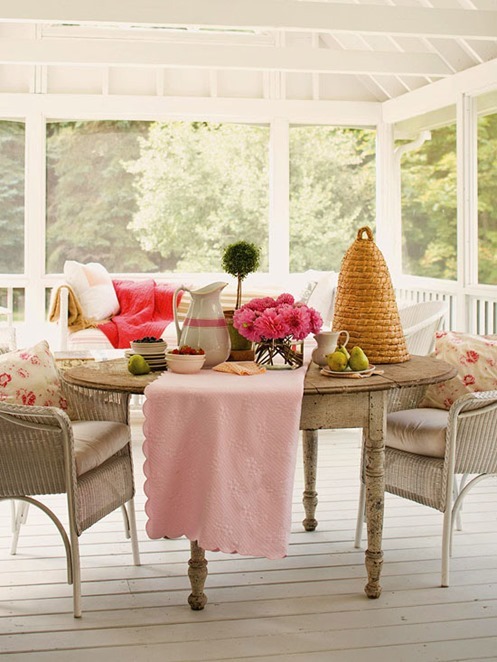 Is there anything lovelier than dining out on the porch? This is not to be confused with a deck, where one happily barbecues and inbibes beer. 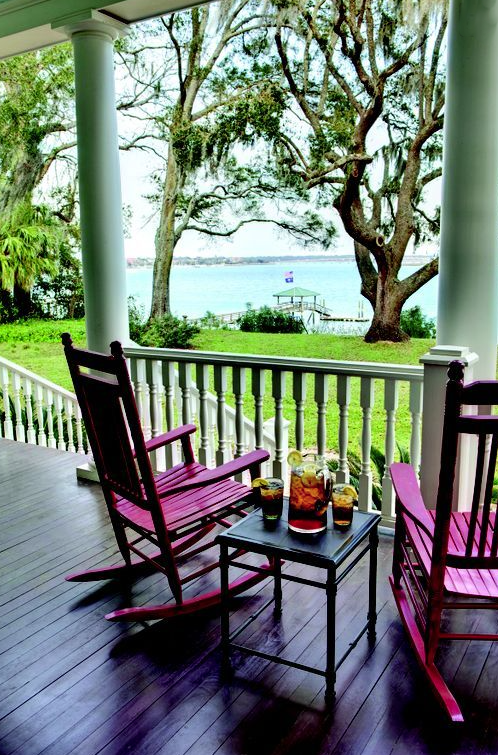 If it’s a deck for partying, then give me a porch for gathering. Preferably with pets, if any are available. 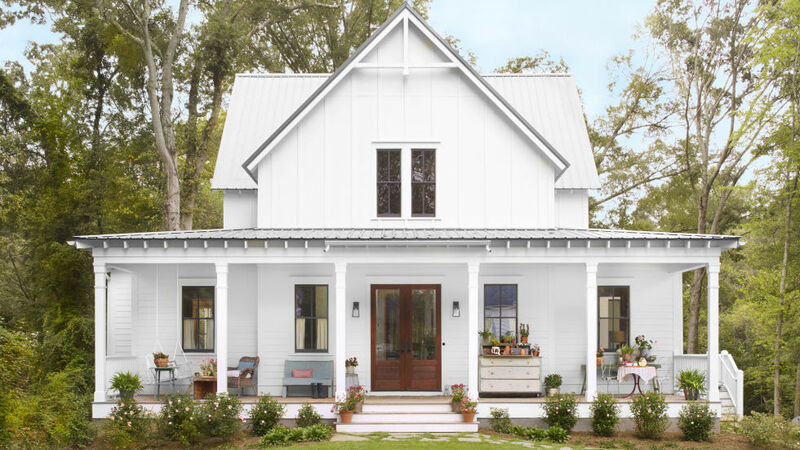 Ideally, the perfect front porch will have the following things: a cozy chair or pair for chatting or knitting (’cause if you’re not knitting on your front porch, then what the heck are you doing?) 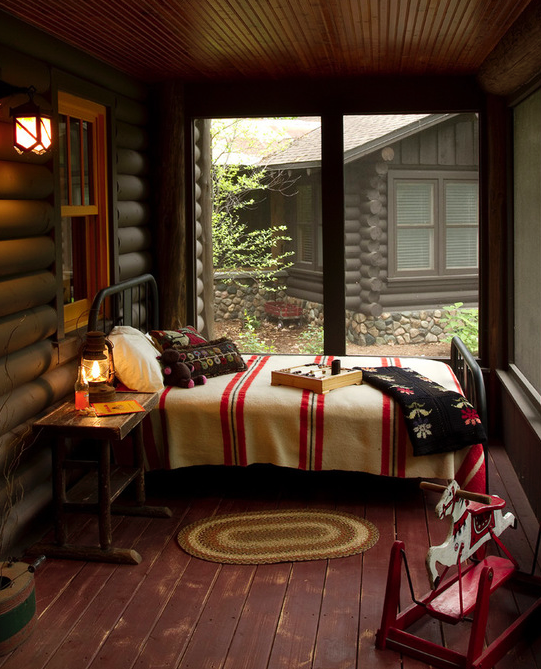 candles, flowers, a table (large for dining, or small for snacking), a lamp for reading, and – most importantly – somewhere to nap. 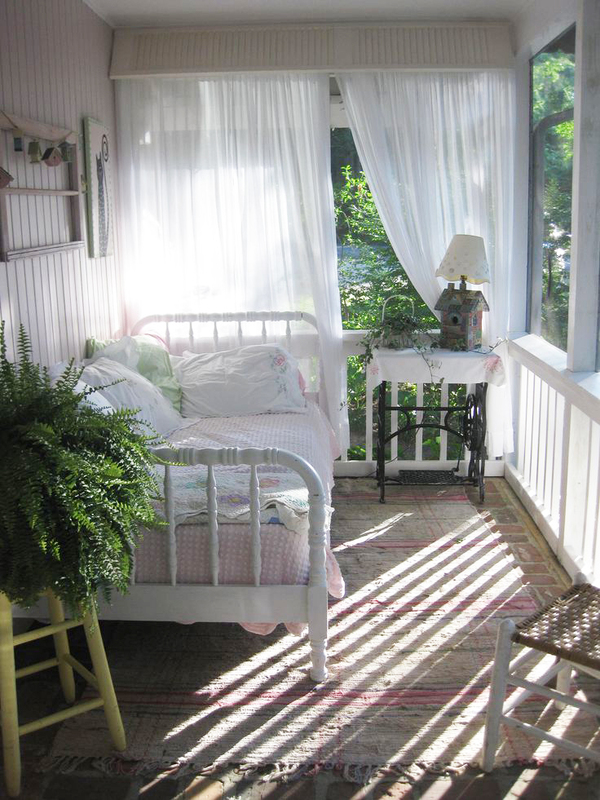 Once upon a time, people called them “sleeping porches,” and families slept outdoors during a heatwave. 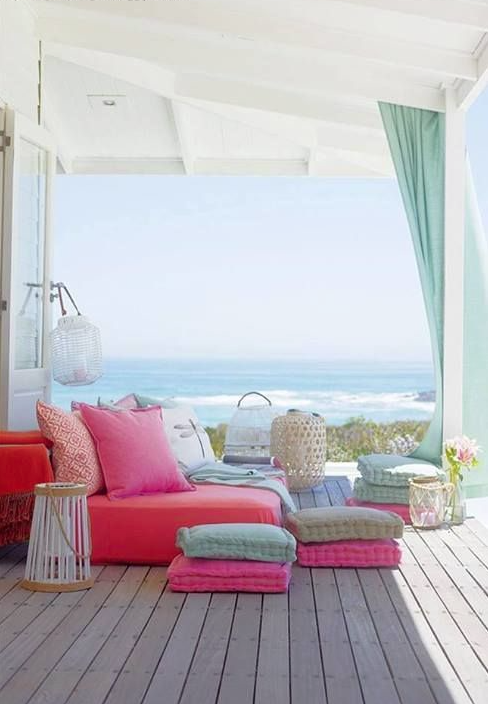 Nowadays, it’s just as refreshing to steal a nap outside in the summer sun, away from the chill of incessant A/C. 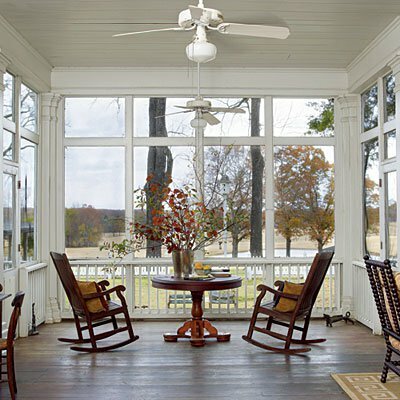 And lastly, the front porch is a place from where we can anticipate and witness the changing of the seasons (and decorate for them, too!) 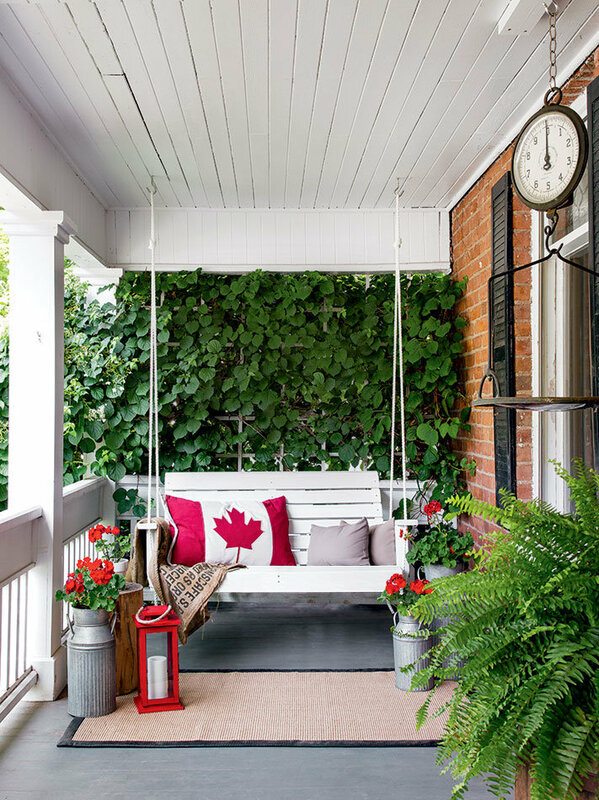 As summer nears its end and begins its transition into fall – my favourite time of year – I bid it, “Hello and Good-bye,” which is seemingly how little time it took to pass. 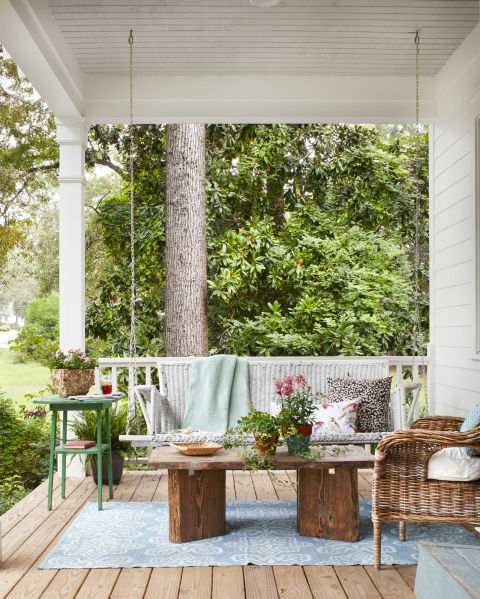 Enjoy these lovely front porches the way I hope you’ve enjoy this summer!